Raise your hand if you love Monday and it’s your favorite day of the week. Not too many positive responses. One day many years ago listening to a Tony Robbins book-on-tape (yeah, on tape, that tells you how long ago that was) I was stunned to hear him say if you’re doing what you love, Monday was the same as any other day of the week, including Saturday. Whoa. Run that by me again? I wore out the tape listening to that portion. What a marvelous fantasy. It was beyond my imagination, yet it must be true because Mr. Robbins stated it was possible. Since then I experienced a few Mondays (emphasis on few) where it felt the same as any other day of the week. My current employer and I know that while I love my job and the work I do, it isn’t my dream job. And I’ve learned to be superbly fine (the definition of marvelous) while I’m working toward my dreams. Moaning and groaning my way through Monday morning can’t change the fact that it’s Monday and the fun stuff weekend is over. What I can change is my mind, which can change my emotions and how I feel. It takes practice. It takes effort. Am I superbly fine all the time, every Monday? Nope. However, I know that even if it’s Monday or Tuesday or any other day of the week, I have the power to adjust my emotions and feel whatever I choose. 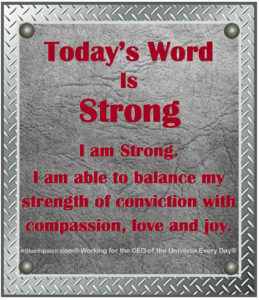 When contemplating the word strong, my mind started playing the word association game. Whoops! That didn’t go where I intended. See how the subconscious takes over if we don’t pay attention? 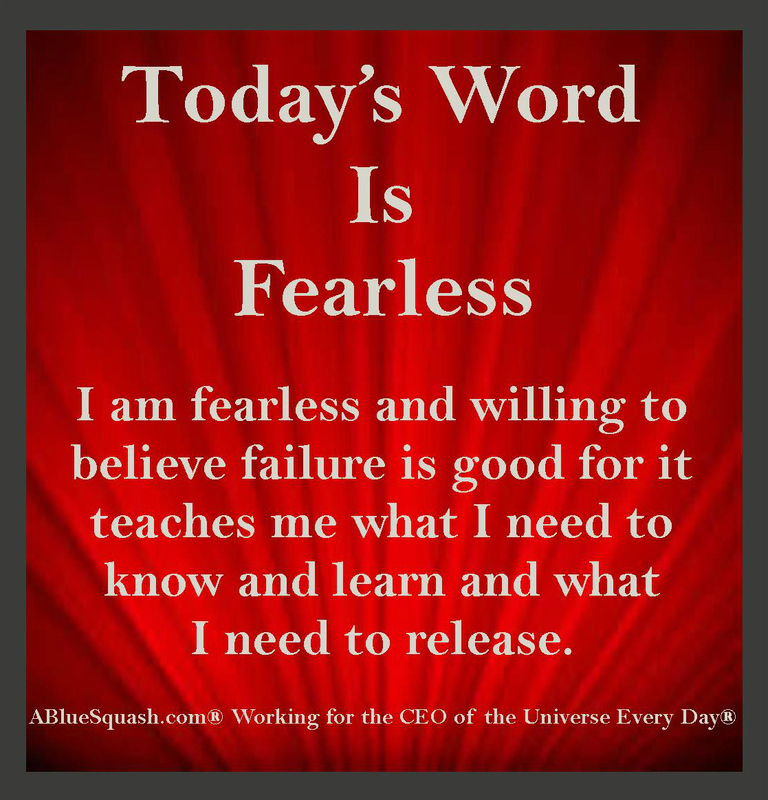 My thoughts were leap-frogging over themselves trying to establish that strong doesn’t have to be rigid. 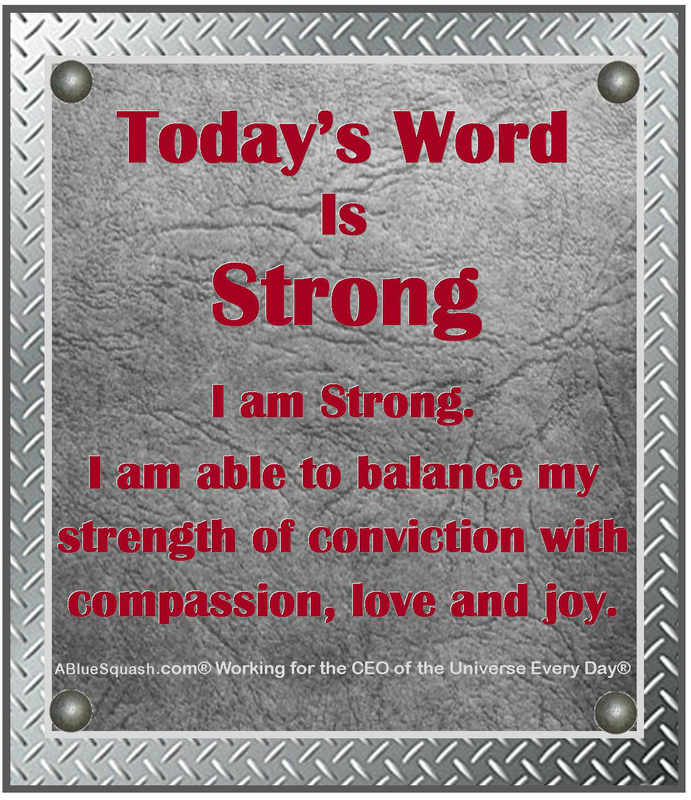 Strong is defined as the power to perform physically demanding tasks; able to withstand great force or pressure; not easy to break or damage. That’s it! And so the image for today contains a background of diamond plated steel overlaid by leather. And since today is Father’s Day, leather reminds me of dads. Leather jackets, leather car seats, saddles and belts. Fathers who pick up their children when they fall, guide them with a strong and loving hand, and balance their convictions with compassion, love and joy. If you don’t or didn’t have an ideal father, we can turn to the CEO of the Universe who is always available to teach us about strength, compassion, love, and joy. Strong doesn’t represent only males, females are strong too. 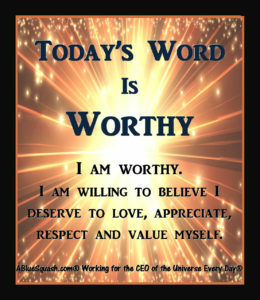 This is another one of those powerful words that will be repeated in our 365 Days of Transformation. When you fall down, get back up to thrive another day. When you make a mistake, admit it and continue to love yourself and everyone around you. Be passionate about your convictions and balance them with compassion – a deep sympathy and mercy – which means you will not injure someone because they do not believe the way you do. Release the need to be angry because someone does not share your convictions. Being strong is releasing the need to control other people and that gives you the freedom to surround yourself and others with joy. Okay. I’m going to fess up. There was a point in my life when bubbly, cheerful, undeniably happy people annoyed the heck out of me. I would growl under my breath. Barely stopping short of snarling at them. Must be nice to always have plenty of money, drive a fancy car, have a great close-knit family, a fantastic healthy body and a heavenly wardrobe. Oh yeah, I was a dissatisfied, discontented mess. And wasn’t that a pretty picture? Some of those people didn’t have plenty of money. They drove old cars, had serious family and health issues, had a far from fantastic figure and sometimes looked like hell. Those people had such a genuine aura of happiness surrounding them I couldn’t see that they didn’t lead perfect lives. I was blinded by misery. Wanting that kind of happiness for me, I decided to believe I deserved to be happy and rid myself of any subconscious obstructions. It took a lot of soul searching, questioning all my beliefs, habits and traits. Questioning the definition of what made me happy and confronting a God I believed hated me. I asked the Holy Spirit to make clear to me what I needed to know. 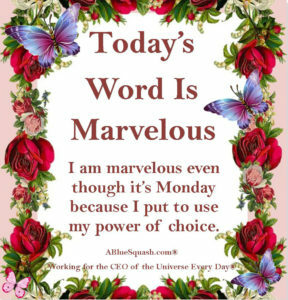 Discovering the power of choice led me to a major transformation and the most delicious sense of freedom. Yes, still experience sadness, anger, frustration, and hurt. Then I get to chose how long to experience those emotions. I encourage you to find your daily happy. Discover what fulfills and satisfies you. The more you experience gratitude for what you have and stop comparing your life to others the more contented you become. 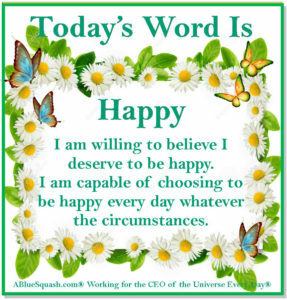 Let’s choose to be one of those bubbly, cheerful, undeniably happy people. Because we can, not because we want to be annoying. 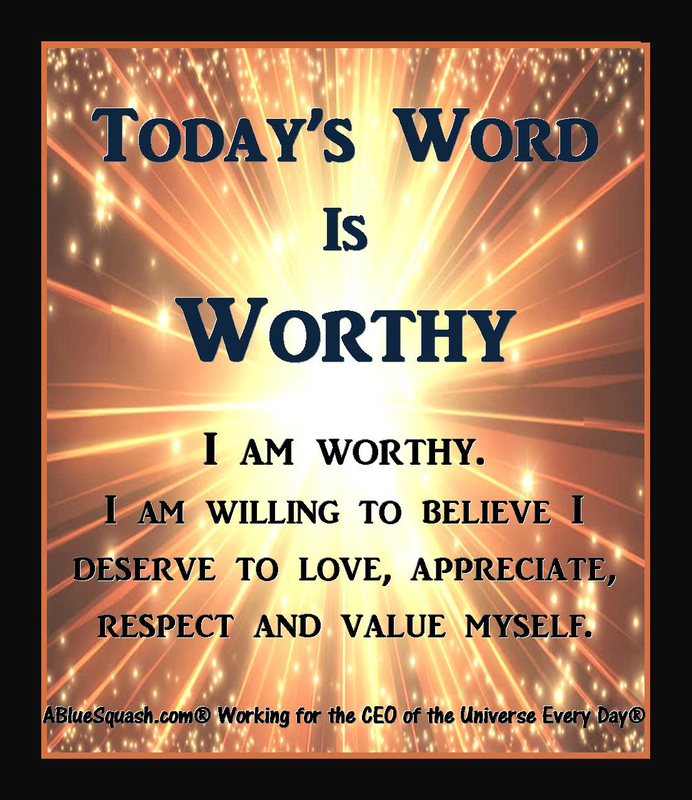 Today’s affirmation was repeated upon awakening, multiple times during the day, and at night before sleeping to revolutionize my thoughts. There was a time when I thought “satisfied” meant more was expected of me. If my parents, an employer, or client said they were satisfied, I always felt it implied I could have done better. My performance was adequate, not brilliant. Customer service training reflected the belief that a satisfied client is acceptable, but it doesn’t mean they are thrilled or a raving fan. Sales training reflected the belief that a satisfied client is okay, but better step up my game or next time they would probably buy somewhere else. Employer’s evaluations ranked “Satisfactory” mid range on a scale from Poor to Excellent. In the world of transformation and the Law of Attraction, I’ve discovered that satisfied can have a very positive meaning. Really liking those words “fulfills” and “ample.” No lack or further expectations implied. I never experienced contentment or fulfillment until I experienced daily gratitude. Becoming grateful for who I am and what I have, created lightness inside me, a breathing space. Gradually, as I started to enjoy that space inside me, I was willing to give that space to other people. I lost the desire to attempt to control or manipulate people or circumstances because it is too draining and a waste of precious energy. Gratitude is a huge transformational tool. Countless stories and experiences have been documented of people’s lives turning around when they started focusing on being grateful. The practice that helped me the most is found in “The Secret” a book devoted to explaining the Law of Attraction and how to use it. My energy and thoughts shifted for the better by making a list of three things for which I was most grateful that day. I repeated the list every night before falling asleep and again in the morning upon awakening. During the day, instead of focusing on lack, complaints and challenges I begin noticing the things that made me feel good. 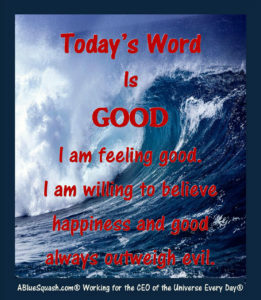 Searching out the good became a habit that definitely brought more joy and satisfaction into my life. 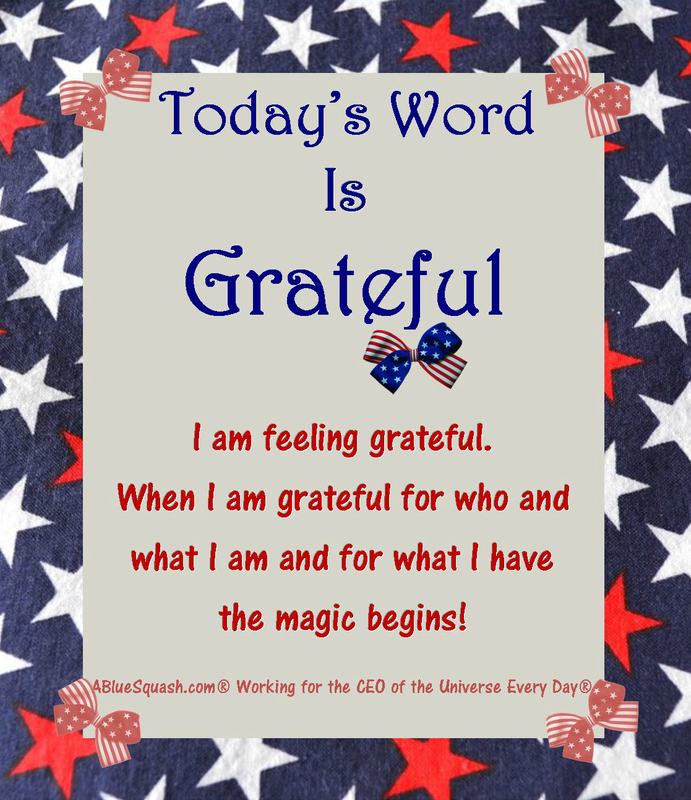 When I am grateful for who and what I am and for what I have the magic begins! We live in a turbulent, flawed world. I do not look at the news on a daily basis, as it is too disheartening and rarely does the news media explore anything beyond life’s horrors. When people rely on unspeakable violence to speak for them and terror strikes, I no longer allow myself to think too much about the incident(s), nor to sink too deep into despair. For that only leads to a darkness inside me. I feel sad and my heart goes out to the victim’s families then I knock on the CEO of the Universe’s door and turn it over to Him. I pray for the parties involved and ask for peace. I cannot control other people or situations that don’t belong to me. I can only control myself, my emotions, my thoughts and my feelings. Today, I choose to cloak myself in light. I choose to feel good. I am willing to believe happiness and good always outweigh evil. And above all, I choose hope for a better world when only good will come.